The DJI Inspire 1 has made its long awaited appearance on the market. This ready to fly (RTF) quadcopter is big, fast, and powerful. It offers its users a way to capture aerial photography and video (APV) in a way that boggles those unfamiliar to its capabilities. Flying this quadcopter takes some skill to handle the power and agility that it offers, but it definitely gives you the bang for your buck. It’s bigger than the average drone, but it was designed to be lightweight and more flexible than other drones while still being able to deliver steady real-time video and photo stills. The design itself is different than the typical drone in that the arms are made out of carbon fiber which reduces its weight. They are motorized so they move out of the way which gives the camera a completely unrestricted view. Its structure was designed to be durable and lightweight, thus adding to its aerodynamics, so it can pick up speed quickly and zip through the air at impressive speeds. Once the carbon fiber rotor arms are out of the way, the camera now has a full unobstructed 360⁰ view. It’s attached to a three-axis gimbal. This gives the pilot the ability to capture video and photo stills in any direction – not just the direction that the drone is flying in. You can record images that are in front, below, behind, and above the quadcopter. The point-and-shoot camera is stuffed full of all kinds of new technology advances, but it manages to stay small and compact. It shoots with 12 megapixels which provides vivid details and colors. A nine-layer lens practically eliminates distortion. If you’re worried about the fishbowl effect, the Inspire 1 has implemented a 20mm focal length into its camera. It opens up the shots to a wide angle so the fishbowl effect is wiped out. Recording is done in 4Kp and capturing 24 to 30 frames per second (FPS), or at 1080p that captures 24 to 60 FPS. The pilot can flick a switch on the controller to use whichever is desired. At 4Kp, the camera offers higher resolution, bigger sensors, and a better lens than other cameras. The big perk to the Inspire 1 camera is that it has been designed to handle a swap out of the original piece for an upgraded camera when the time comes. The gimbal is the key to keeping the camera steady. Nobody likes shaky footage, and the Zenmuse X3 gimbal was developed to keep it as steady as possible. The technology used to keep the camera so steady is the Inertial Measurement Unit (IMU). It detects the smallest changes in movement and adjusts accordingly. It gives a stable stream of recording that is at the professional quality level. The gimbal updates its data every millisecond because it is fed data from the main controller. It compensates (counter-balances) in real-time its flight pattern of tilt, motion, angular velocity, momentum, inertial force, and global positioning system (GPS) data. This keeps the camera absolutely balanced no matter how much the drone is dipping, banking, or otherwise manoeuvring. The DJI Inspire 1 has dual-operator controls. You don’t have to go solo anymore. Bring a friend, give him a second controller, and enjoy having a true wingman. You can fly the drone by using the main (master) controller while your wingman uses the second (slave) controller to operate the camera and gimbal action. Since all of these components wirelessly communicate with one another, you are no longer bound to a single type of APV. The master controller tells the quadcopter where and how to fly in real-time. The slave controller shoots and records. The quadcopter responds immediately to both master and slave instructions. Each user will have their own screen so they can see exactly what is being recorded or photographed instantly. This gives the operators the ability to capture footage and stills that would otherwise be too complex to get. By working together, the pilot and wingman can get some superior artistic shots. The controller screen gives a 720p high definition (HD) view so you can see exactly what the camera sees. Once again, it’s all in real-time, so there’s no lag between what the camera sees and what you see. You can frame your photo stills the moment they come into view. [ytp_playlist source=”PLEFZat6QdOIGgiFYsH0A30QRcnvDhV4hK”]Using DJI’s Lightbridge technology which sends the view from the camera back to the controller at high speeds, the camera is able to transmit video footage to the controller from up to over 6,561 feet (approximately 1.2 miles/2 kilometers) away. And, of course, the controller has a mini-HDMI and USB port to connect to a smart phone or a tablet. Install the app on a smart phone, and you can manually control the camera functionality and the takeoff and landing of the aircraft. When flying a quadcopter, it’s never advisable to fly it indoors. With the Inspire 1 being equipped with Vision Positioning technology, flying indoors is now easier and safer. The sensor detects your drone’s location and altitude, then sends a signal to lower the legs for a soft landing – a short distance away from the pilot. This is especially useful when the GPS is unavailable or other noise in the area interferes with the signal. Flying indoors also has its disadvantages with the camera brightness and colors. The camera on the Inspire 1 comes equipped with an ultrasonic sensor that detects obstacles indoors and adjusts its ISO. With the amount of power and speed that the Inspire 1 has, it may be easy to lose track of its location during flight. DJI addressed this issue by implementing a dual positioning system. The typical GPS provides satellites and your drone’s location, but with GLONASS being added to the mix, the location of your quadcopter is steadily being updated and recorded to your controller so you can see where the aircraft is at all times on a live map. If you release the controls, the quadcopter simply hovers in place. This tracking system enables the Inspire 1 to record its original takeoff location. Press a button, and it will return to that position. Another nifty feature of the controller is the Home Point. This is the current location of the controller. Using a GPS signal, the Home Point is automatically refreshed. If the pilot is in a moving car while flying the drone, the return-to-home location is updated in the drone’s “brain” so that it knows where its pilot is at all times. When you tell it to come home, it hones in on your current location and returns to you. Rudimentary data is displayed on the touch screen of the controller. Altitude of the drone, the flight speed, its distance away from the controller, and battery life (plus more) are all displayed. As the drone flies, the battery life is displayed. The aircraft uses smart flight technology algorithms to compute its current distance to the time it would take to return to home. When it reaches that battery level of safe return, it alerts you. If you’re flying and the GPS signal is lost or interrupted, the Inspire 1 utilizes its GLONASS positioning system and current flight path to turn around and head home. More often than not, one of the biggest complaints from quadcopter pilots is that they lose their drone. This extensive location system helps to keep you and your drone in constant contact. If you lose it, it will find you. Since it’s a touch screen, just tap away until you set up the commands and boundaries just the way you want them. This is a state-of-the-art piece of technology that can be tapped while flying, plugged into your home computer to redefine your settings, or set aside while you use your smart phone as a backup controller. The DJI Inspire 1 carries a hefty price tag and has been priced at triple of some other drones. If you are an avid flyer and ready to move to the next level of APV, then the Inspire 1 offers a fast, powerful, and professional quality video and photo capability that will capture and keep your attention. A higher level of skill is needed to benefit from all of the technology that this aircraft has to offer, so it may be better to begin your APV hobby with a less sophisticated drone. 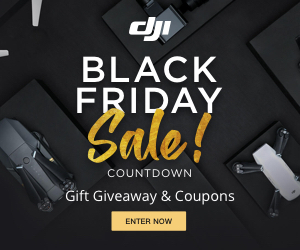 But if you are ready to grab some exceptional video and photos from the sky and you have the skill to use – and not crash – this pricey quadcopter, then you can definitely make the most of what the DJI Inspire 1 has to offer. The skycam shots are stable and absolutely gorgeous. to control the lift and degree of throttle of the quadcopter. and NFC (Near Field Communication). With old dji groundstation you could use photogrammetry tool- is this possible with The inspire? Yes I believe so. I have personally used the Pix4dmapper with the Inspire 1 which works well.